The Internal Revenue Service has issued interim guidance regarding the treatment of qualified transportation fringe benefit expenses paid or incurred after Dec. 31, 2017. The new rules will help you determine the amount of parking expenses that are no longer tax deductible for for-profit taxpayers and the corresponding increase in unrelated business taxable income (UBTI) for not-for-profit taxpayers. Under a special rule, employers will have until March 31, 2019, to change their parking arrangements thereby potentially enabling them to reduce or eliminate potential UBTI with respect to parking fringes. And it may be possible to avoid having to file a Form 990-T, Exempt Organization Business Income Tax Return, altogether. For purposes of imputing UBTI under IRC Section 512(a)(7) for not-for-profit organizations, depreciation is not included in “total parking expenses.” Notice 2018-99 also offers a reasonable four-step methodology for determining the amount of UBTI resulting from the provision of employee parking. Battling Bored Boards – Five Tips for Lighting a Fire Under Your Board. I know you have a great orientation for new board members that is so thorough that there is no doubt in their mind about your expectations of them. I hate to tell you this, but that was a year ago and since then your board member has changed jobs, adopted a baby and a dog, and found moles in their yard. They may not be thinking about your organization much. A written job description or other document that outlines board member expectations gives your board chair something to fall back on if a discussion about director performance ever needs to be had. They were asked to join your board because there is something awesome about them, right? That quality is still there, it’s just preoccupied. When was the last time you reminded them that there are things your organization needs that only they can do? They joined your board because they love your mission. Use their skills and make sure they know how vital they are to your good work. What has made you proud recently? Did your staff get public kudos? Did a person you serve reach a milestone? Did your baby goat rescue save a record number of baby goats? Make sure your board knows about it! You don’t have to wait for a board meeting. A quick email to share your good news will generate warm fuzzies AND remind them that there was something they were supposed to do before the next meeting. Look at your board meetings. Are you spending all your time on financials and other day to day matters? Take some time to dream. Your board is uniquely positioned to help you explore what your agency can do and be 5, 10, 20 years into the future because they aren’t mired in the day to day. I’m not talking about strategic planning, I’m talking about developing a shared overall vision for the future that gets people excited. 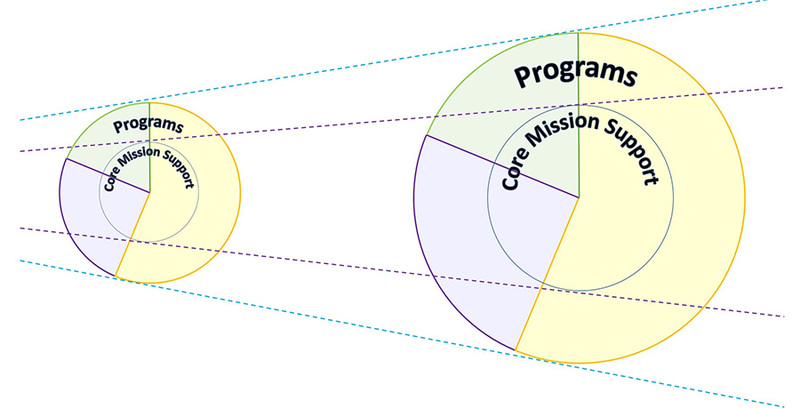 What will your agency, your community, or the world look like when you fulfill your mission? Your board can’t help but get excited about that. The relationships between board members is as important as any other work of your board. Board members don’t need to be best friends, but professional friendships among board members leads to greater accountability to each other, and therefore better results for your organization. Get out of the board room and have some fun together! Does your board need help? Your NAM membership gets you discounted rates for Board Masters training and access to BoardSource. Contact Rosey for more information. As many of you may know the Nebraska Legislature adjourned Sine Die last Wednesday, April 18th, and property taxes again dominated the agenda. This year the Nonprofit Association of the Midlands took positions on two bills that would have increased reporting requirements for some nonprofits and negatively impacted revenue for the nonprofit sector as a whole. -Adopt the Nebraska Property Tax Cuts and Opportunities Act, change income tax rates, and eliminate certain exemptions and credits. Our opposition to LB 947 was rooted in two key aspects of the bill: fully implemented, it would have cost $650 million by 2030, and without a way to pay for those cuts, the state’s investments in K-12 public schools, health care, public safety, law enforcement, infrastructure and other crucial services could have been cut. With the tax cuts in place, the only other way to preserve funding for these services would be to raise additional revenue by increasing other taxes and fees. Our work is not over, however. Organizers of a property tax petition are trying to get the issue on the November ballot. The petition would put a $1 billion hole in the state's budget and advocates have not indicated how they propose the lost revenue will be made up. What's the difference between advocacy and lobbying? What's the difference between advocacy and lobbying? Are there clear distinctions? Nonprofits often serve constituents who face challenges in weighing in on key issues passing through our public decision making processes. Yet, their experiences and perspectives are critical to crafting effective policy solutions. Nonprofit staff can serve an important role in both facilitating participation in advocacy among communities they serve as well as sharing their perspectives as agencies who see many of the issues our leaders are trying to address first hand each day. In fact, nonprofits sharing their perspectives and engaging their clients to do the same is essential to better understanding issues and finding the best solutions. Advocacy consists of the range of activities through which organizations inform, educate and compel people to action on an issue central to their mission and at all levels of society – local, state, regional and national. Advocacy and awareness raising can take many forms: marketing campaigns, conferences, press conferences, letters to media, meetings with elected officials to introduce them to your mission, and many more. Lobbying, by contrast, is a regulated set of actions in support of or in opposition to specific pieces of legislation. One threshold for lobbying is that the communication include a “call to action” on an organization’s part, whether it is directly to the decision maker (please vote yes!) or asking someone else to talk to a decision maker (please call your senator and ask them to vote yes). The IRS has rules defining how much of an organization’s time and money can be dedicated to lobbying and to which category of lobbying – Direct or Grassroots – both of which have their own limitations. The IRS has reporting requirements for these types of activities as well. While there are rules that must be followed, they are easy to manage even for a small organization. If you want to learn more now, a great resource on advoacay and lobbying by nonprofits is Alliance for Justice www.afj.org. Becky received her B.A. in History with High Distinction from the University of Nebraska-Lincoln and her J.D. with Distinction from the University of Nebraska College of Law. She has worked at Nebraska Appleseed since October of 2001 first as a Staff Attorney for the Economic Justice Program specializing in poverty law and then starting in 2007 as Executive Director. During her time with Appleseed, Becky has successfully litigated cases in state and federal court and engaged in policy advocacy at the state and federal levels on issues ranging from poverty to immigration. In addition to her work at Appleseed, Becky is the President of the Robert Van Pelt Inn of Court, and serves on the Board of Directors for the Center for Rural Affairs, the Nonprofit Association of the Midlands and ISoft Data Systems, Inc.
She lives with her husband Jeff and their two children near Valparaiso, Nebraska. 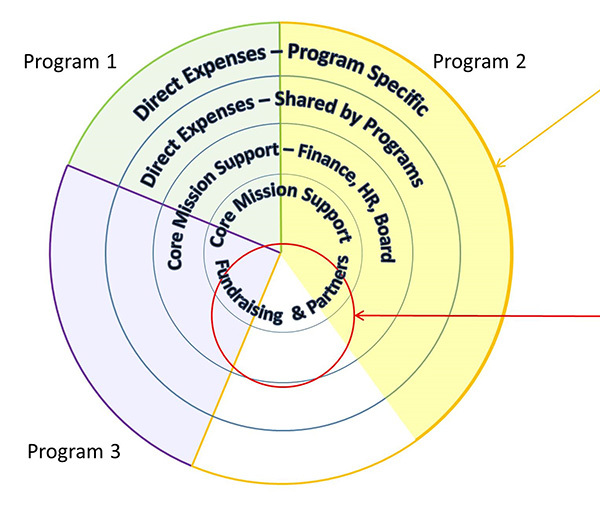 New research from the Bridgespan Group highlights how requirements that nonprofits have low overhead could be making it harder for them to effectively fulfill their missions. 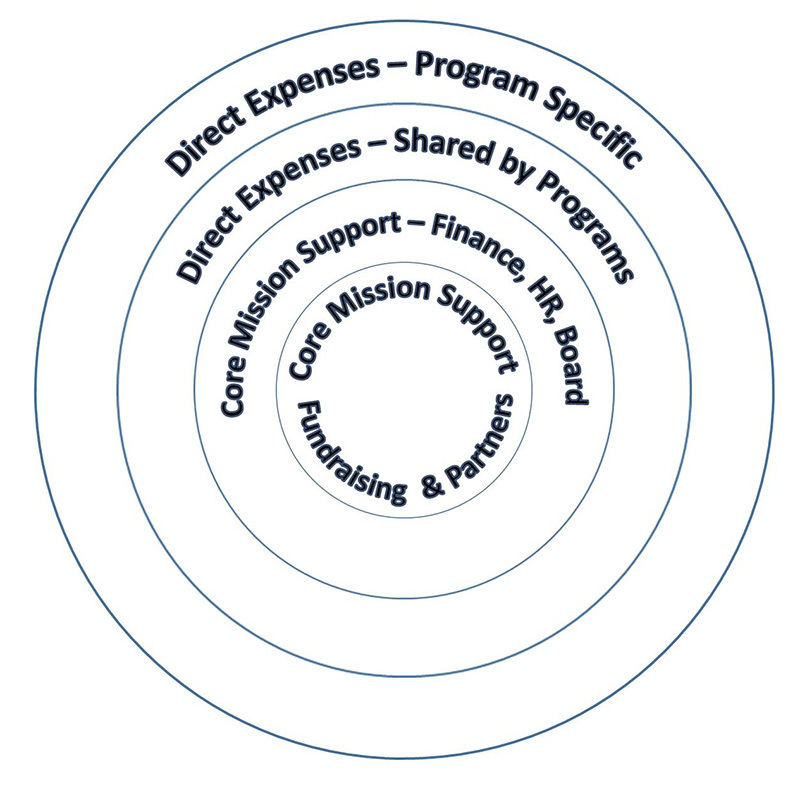 When it comes to nonprofits, mission is paramount. But overhead is still a necessary part of the equation, and charitable groups are often encouraged to keep their spending very low. A new study from the Bridgespan Group, however, has a fresh take on the issue: Nonprofits shouldn’t have to starve their infrastructure spending in the name of keeping overhead low. Instead, the study argues, foundations should “pay what it takes” to build out that infrastructure. The argument already has some fans among major philanthropic firms. Indirect costs are higher than budgeted. The study, which analyzed 20 high-performing nonprofits in a variety of sectors, found that indirect costs (the study’s more inclusive term for “overhead”) made up an average of 40 percent of the organization’s total costs—in some cases, far beyond the 15 percent overhead rate allotted by most foundations. 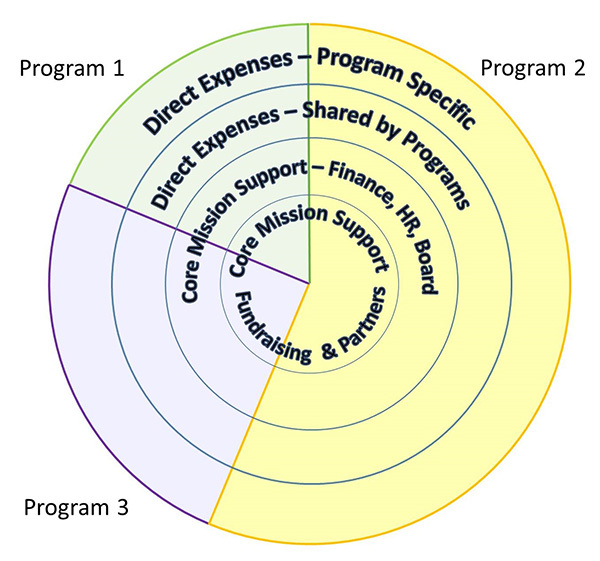 Different types of nonprofits have different needs. A research lab and a global NGO with a wide network of affiliates tend not to have a lot in common, other than the fact that they’re both in the nonprofit space. Because these organizations are so different, they often have different spending needs, with network and field management the most important cost for the NGO, and equipment the biggest cost for the research lab. 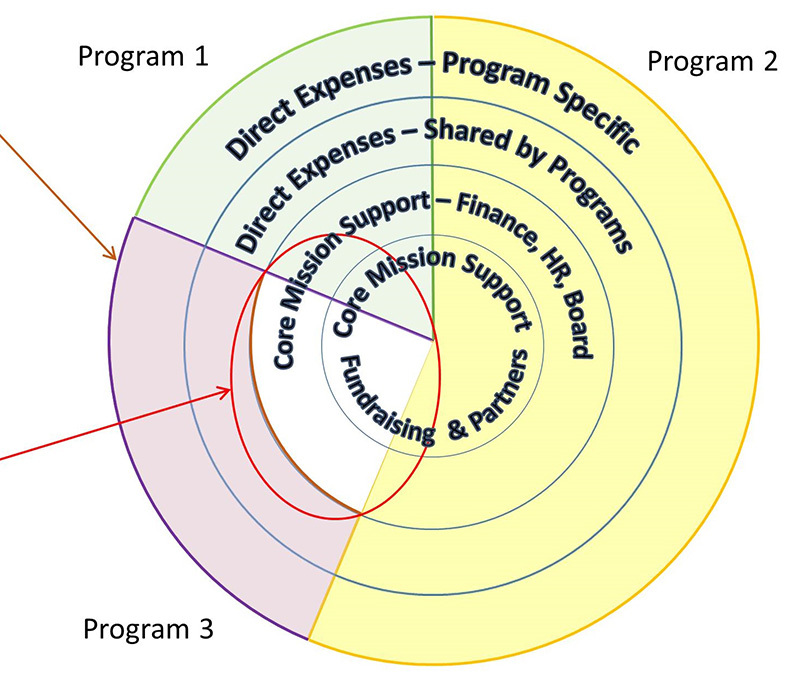 By putting a firm cap on indirect spending by each organization, it can limit how well these organizations conduct their respective missions. The study showed that one of the research organizations analyzed had indirect costs that teetered near 89 percent, with physical costs the biggest point of pressure. 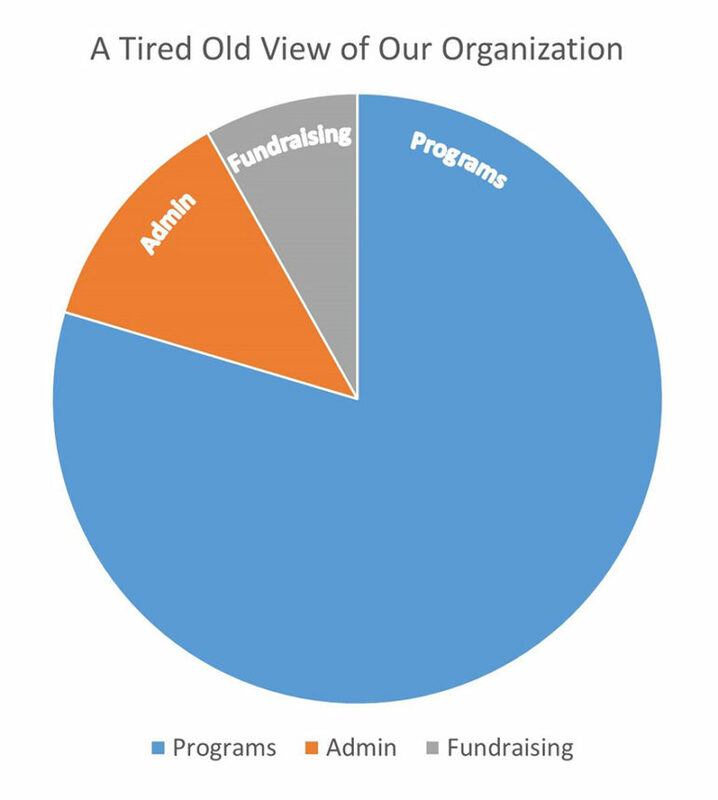 By making the point in the study, Bridgespan hopes to encourage a rethinking of how overhead is perceived by foundations and other donors. The full study can be read on the Stanford Social Innovation Reviewwebsite. Help us spread the word! Share this motion graphic with your network.